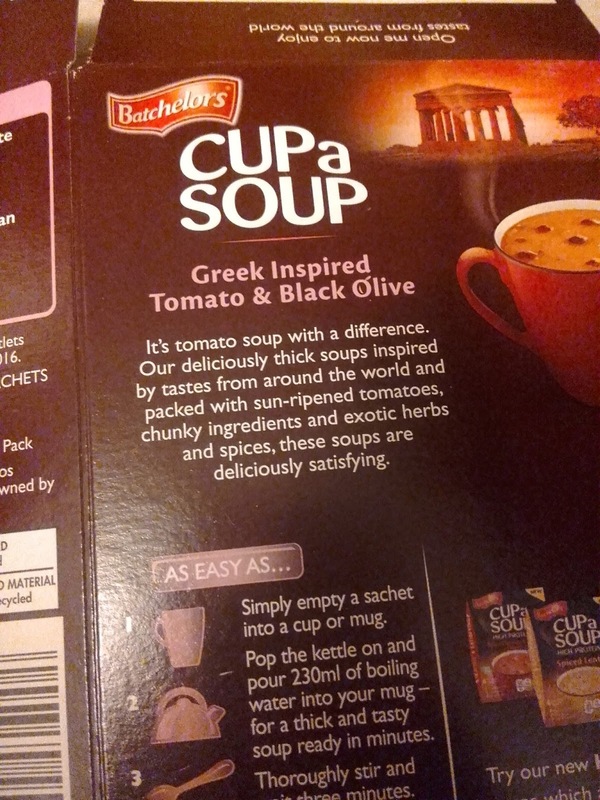 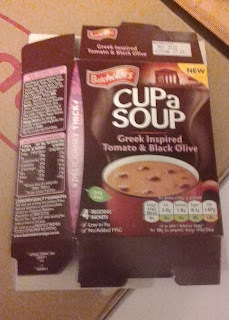 I tried this because the soup had black olives in it. Inside the box are four sachets. 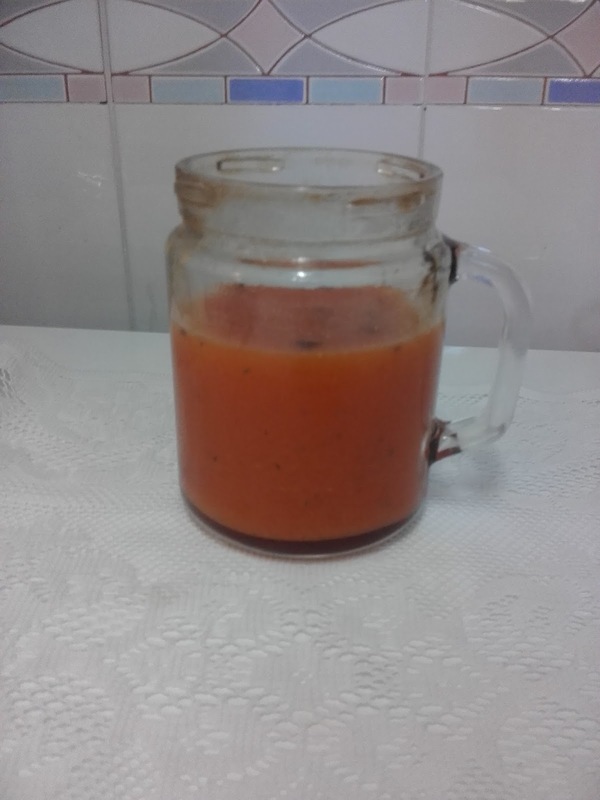 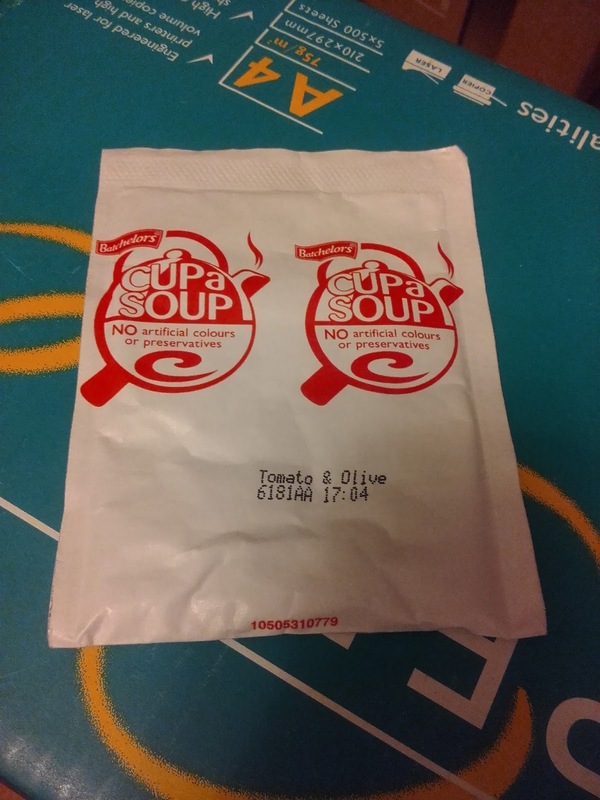 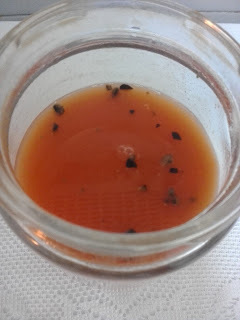 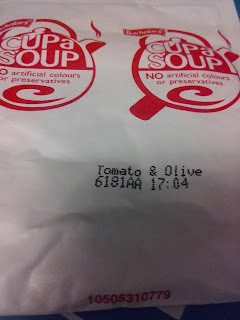 The taste of the soup was quite tart but not as thick as it claims. I wish there were more chunky pieces of olives in the soup.